This property was originally a traditional “two-up, two-down” terrace cottage and was in serious need of refurbishment. It was necessary to provide a large family room/kitchen area, ground floor study, sun lounge and WC, together with a master bedroom/en-suite, three further bedrooms and a family bathroom.This was achieved by taking down the existing single storey lean-to outbuilding to the side and rebuilding this as a continuation of the main house. 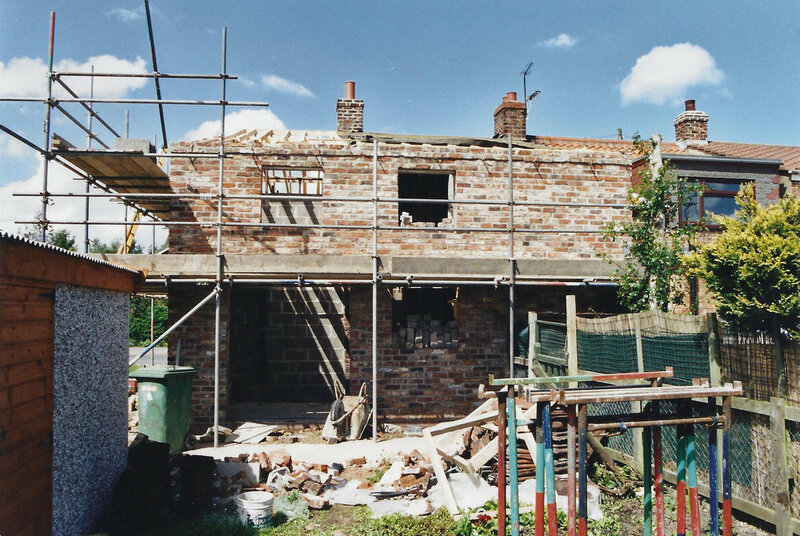 A rear extension was also added to create the family room/kitchen area, the original roof pitch being reduced at the rear to accommodate two further bedrooms over. Finally a sun lounge was added in lieu of a conservatory, therefore providing a further living area which can be used all year round.